I first ran this post in February of 2010. But, given that today kicks off Black History Month, I thought I would revisit it because I don't think this particular trailblazer of our industry gets enough credit for the racial barriers that he met and subsequently tackled. You see, he not only became the first African American instrumentalist in a major orchestra, but at the time, was also the youngest - being just 16 years old. This gentleman broke racial barriers as a musician, and then went on to do the same as a conductor. He was the first African American to head a major symphony as Music Director and was also the first African American to conduct at the Metropolitan Opera. Henry Lewis was my prophet and my teacher and my right hand ... I certainly would have had a career without Henry, but it was he who really led me into the paths of bel canto. He labored and sweated and did everything he could to teach me the style. 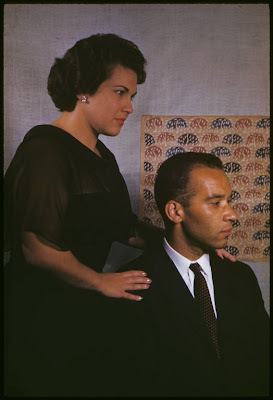 Also, it was Lewis who put a young Marilyn Horne up to auditioning to be the singing voice for Dorothy Dandridge in the movie version of a musical based on Bizet's opera Carmen; Carmen Jones. Horne got the part and dubbed for Dandridge. When Lewis was in Junior High School, his teacher offered lessons on the double bass. Lewis made the decision to master the double bass because double bass players were rare. He also studied other instruments and voice. 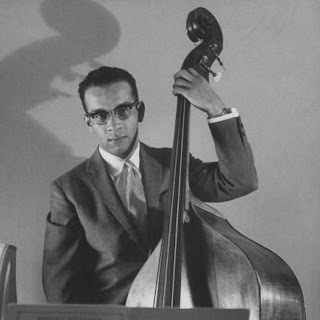 But, it was his double bass playing that got him a post as instrumentalist with the Los Angeles Philharmonic when he was just 16 years old - the youngest person to do so, as well as the first African American. In addition to his post with the LA Phil., his talent and prowess on the double bass won him a scholarship to the University of Southern California. He never graduated, but took more than enough credits to have done so. Later in life, Lewis made up for his lack of degrees by receiving many honorary degrees from several institutions. Lewis served in the U.S. Army from 1954-57. He not only served with the Stuttgart, Germany-based Seventh Army, but was also the conductor of its Symphony Orchestra. Henry Lewis gained national recognition for the first time in 1961 when he was appointed to the post of assistant conductor of the Los Angeles Philharmonic under Zubin Mehta. In 1968 he became the conductor and musical director of the New Jersey Symphony and was the first African-American to lead a major symphony orchestra. Lewis transformed the small community ensemble with an average yearly budget of $75,000 into a nationally recognized orchestra with a budget well into the millions. 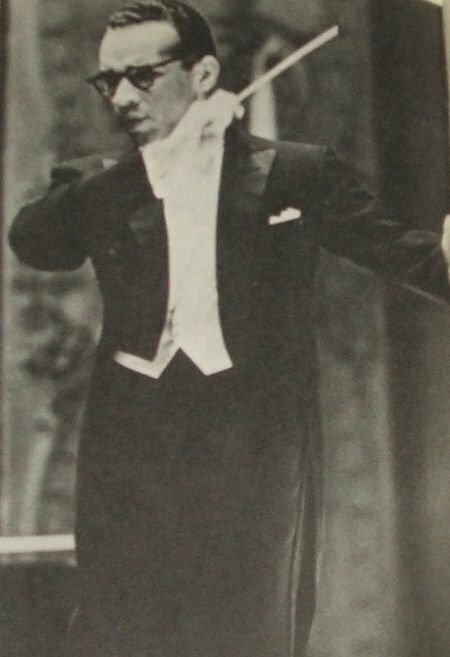 In 1972, Henry Lewis spent his 40th birthday on the podium of the Metropolitan Opera, becoming the first African American to conduct there. He joined forces with the MET again in 1975 to conduct their tour of Japan. After a rocky relationship with the New Jersey Symphony, Lewis resigned from his post as Music Director in 1976. According to the New York Times, Mr. Lewis said he had imposed stern but reasonable demands on the orchestra's members, but they called him tyrannical. In a three-week strike that preceded his resignation, its is said that the orchestra's negotiating committee actually sought a contract clause stipulating that Lewis refrain from frowning at rehearsals and performances. Seriously? A conductor not frowning at rehearsals and performances? They might as well have asked him not to wave his arms. Henry Lewis continued to conducting after leaving his post at New Jersey, though. He not only served as music director of the Opera-Music Theater Institute of New Jersey but also as principal conductor of the Netherlands Radio Orchestra. He also continued touring Europe and America as a frequent guest conductor for opera companies and symphony orchestras. During their marriage, Marilyn Horne and Henry Lewis - whose daughter Angela was born in 1965 - often appeared together and were the subject of magazine articles that showed them as happy in their music and their marriage. Unfortunately, their marriage ended in divorce in 1979. But, they remained colleagues and more importantly, close friends. ... the figure of another man broods over Horne's life: her ex-husband, the conductor Henry Lewis. When Horne gave her American Song-book concert at Lincoln Center, [Horne's companion Nicola Zaccaria] was in Greece. It was Lewis, 51, and their daughter, Angela, who waited backstage with champagne to toast the diva. They speak of each other with a plangent affection. "She's a very, very important person in my life," he says. "There's a niche for her within my heart." Horne echoes him: "There's a deep friendship and a very deep love that will always be there." Just 12 years later - in 1996 - after battling Lung Cancer, Henry Lewis died at his home in Manhattan of a heart attack. He was only 63 years old. Lewis' legacy is immeasurable. He contributed greatly to helping build the technical and musical foundation of one of the greatest singers of all time - and also paved the way for African American musicians and conductors alike.